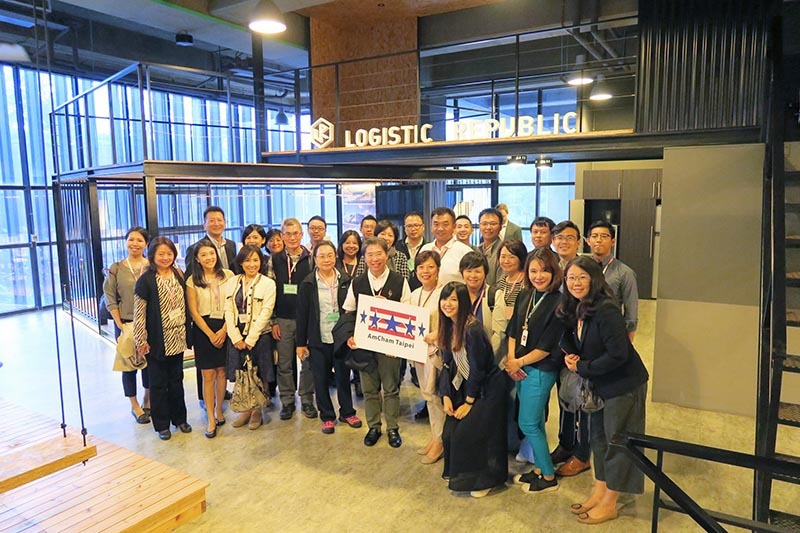 AmCham Taipei members and staff spent a fun and informative afternoon exploring Taiwan’s most innovative and modern logistics hub. Although Taiwan is one of the most trade-dependent economies in the world, its exports and imports often pass through warehouses that are poorly designed, of substandard condition, or even illegally constructed. 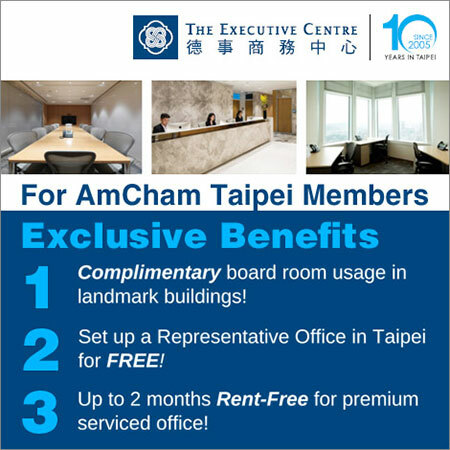 Taiwan’s small size means that industrial-zoned land is simply too valuable to be used for warehouses and an estimated two-thirds of Taiwan’s warehouses are illegally located on agricultural land without proper building permits and little investment into modern logistics. 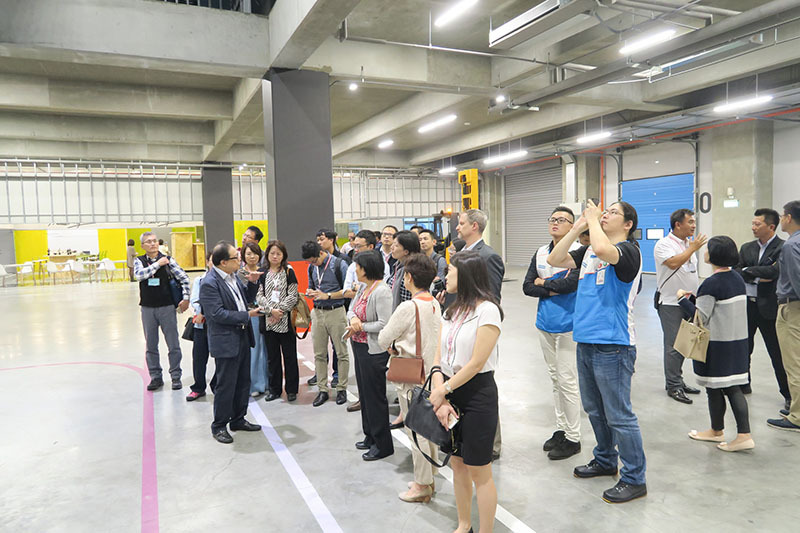 Ally Logistic Property (ALP) bucks this trend by offering modern, innovation and technology-driven warehousing and logistics services to the Taiwan market, as AmCham members learned on their visit Nov. 3 to ALP’s Logistics Republic (LR) massive smart warehouse and logistics hub in Ruifang. Providing logistic services to customers using the Port of Keelung, LR is only in Phase 1 but already encompasses 171,400 square meters. 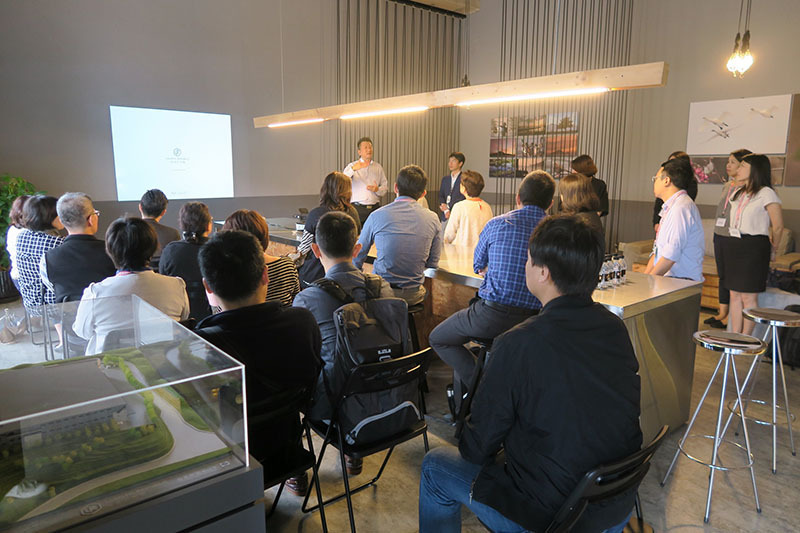 Hosted by Warren Wang, Executive Assistant to Charlie Chang, Managing Director of ALP, AmCham members were first treated to a tour of the site’s central office. With its modern design and warm wood finish, it resembles a high-end café more than the bland, utilitarian space more typical of the industry – and it even has an espresso bar. 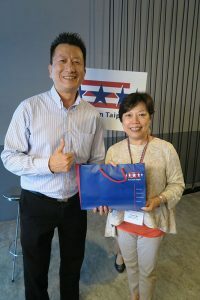 Wang told AmCham members that several of ALP customers have been so impressed by the design that they contracted ALP to design their own workspaces as well. ALP was established just three years ago, with US$1 billion in investment from Cathay Financial Holdings Corp., but is already well on its way towards its goal of building and managing one million square meters of modern smart warehouse and logistics infrastructure. Wang explained that ALP’s LR site is a warehouse solution that maximizes operational efficiency and minimizes transportation needs by co-locating various players in the logistic service industry together with their clients. 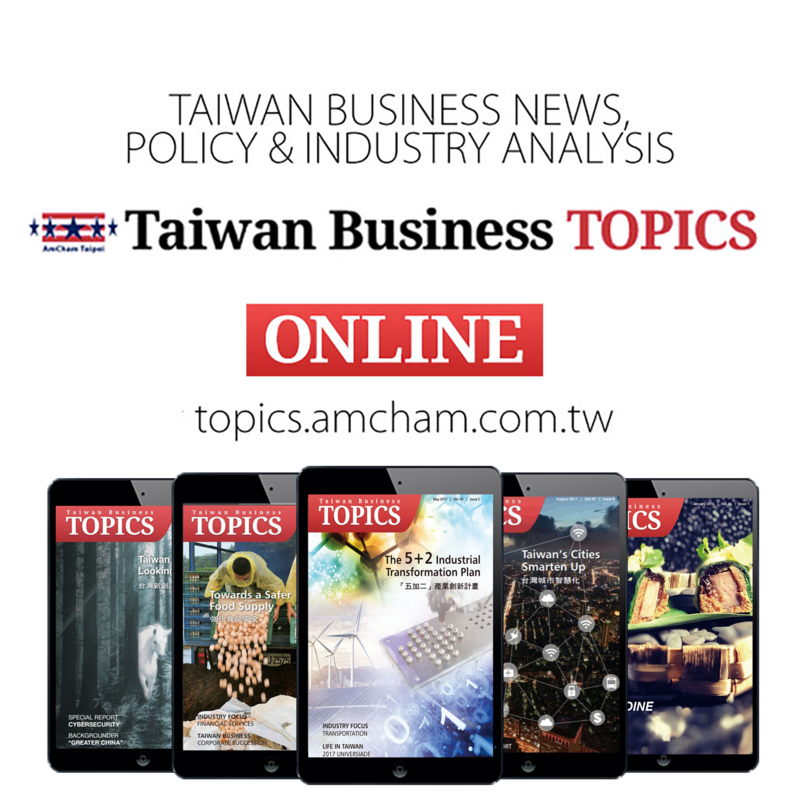 The company continues to drive innovation in the logistics sector with ambitious expansion plans to meet the needs of Taiwan’s manufacturers, retailers, e-commerce businesses, and third-party logistic service providers, he said. Following Wang’s briefing, AmCham members piled into the bus once more to visit the actual warehouses. First on the agenda was a tour of French sporting goods maker Decathlon’s distribution center. Decathlon is a maker of a wide range of sporting goods, from weightlifting gear to racing bicycles and badminton racquets. Jimmy Correia, Decathlon’s Taiwan Logistics Leader, led AmCham members on a tour of the distribution center, where Decathlon’s youthful and sporty logistics workers “pick and pack” – with the help of advanced technology – sporting goods for shipment to Decathlon’s stores in Taiwan and around the world. Following these tours, AmCham members were treated to some of Dyna Logistics’ wares – a wine tasting sponsored by Dyna Logistics and ALP. A tour of the LR Wine Hub followed, led by the General Manager of Dyna Logistics, James Pong. In marked contrast to Decathlon’s distribution center, which bustled with youthful staff, Dyna Logistics’ cavernous wine hub was eerily quiet. 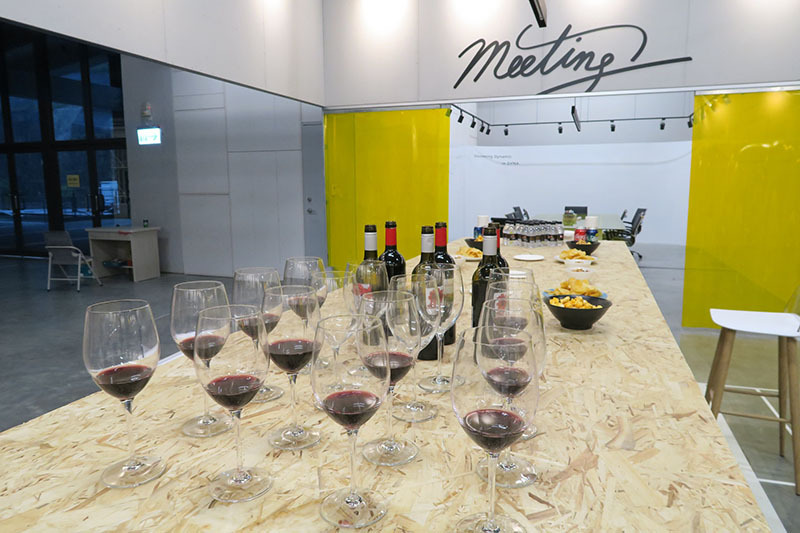 Pong told AmCham members that the entire warehouse was staffed by fewer than a dozen workers, with most of the wines picked from the tall racks soaring 20 meters above by huge vertical machines that traversed the aisles. With fragile, irregularly shaped bottles and strict temperature requirements, wine is notoriously challenging to ship and store, yet Dyna Logistics’ automation and climate control enabled the warehousing operation to function with smooth precision. Following these tours, AmCham members were treated to some of Dyna Logistics’ wares – a wine tasting sponsored by Dyna Logistics and ALP. 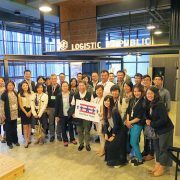 AmCham conveyed its special thanks to ALP for sponsoring the roundtrip bus ride to the Logistic Republic Park in Ruifang.